Have you ever dreamed of being your own boss? Have you struggled with assembling a great team? 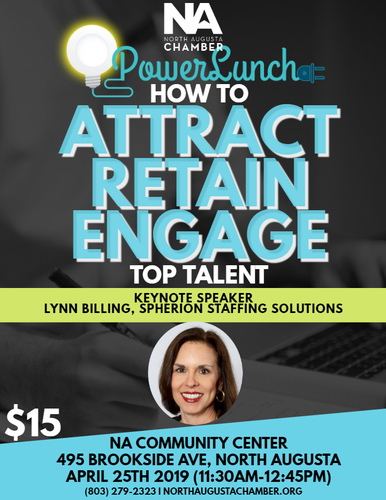 Don't Miss this month's Power Lunch. We have something for everyone. Come early and take advantage of workshops to help build your business and stay for lunch to learn how to find and keep top talent. 1. Who's Minding My Books? 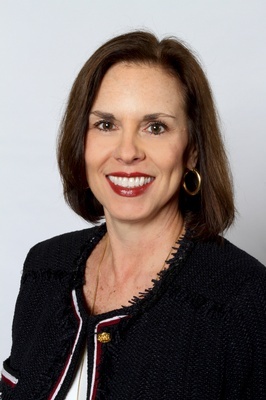 As a senior vice president of Spherion Staffing Services, with more than 25 years of experience focused on operational excellence and business development, Lynn supports Spherion franchise business owners in more than 50 U.S. offices. Her guidance enhances their ability to partner with clients to build a high-performance workforce. with numerous business groups. The Emerging Workforce Study leverages over 20 years of groundbreaking research to reveal key insights into today’s workforce, and how companies employ and deploy their talent engine. Spherion Staffing Services is a leading recruiting and staffing provider, specializing in temporary and direct hire placement of administrative, clerical, customer service, light industrial and professional job candidates. To help clients attract, engage and retain a high-performance workforce, Spherion offers in-depth market knowledge, outstanding customer service, a strong network of talent and unique insights from its groundbreaking Emerging Workforce® Study, now in its 21st year. As an industry pioneer, Spherion has, for more than 70 years, matched candidates to clients in virtually every industry across the U.S. Today, each Spherion office is independently owned and operated by a team of local specialists, dedicated to delivering great experiences, powered by technology but always with a personal touch. To learn more about one of the nation’s fastest-growing industries, visit spherion.com/franchise and explore how Spherion is actively expanding into new territories, with more than 75 franchise markets available.